thirumangai AzhvAr’s chronological sequence of works is periya thirumozhi, thirukuRuNthANdakam, thiruvezhukURRirukkai, siRiya thirumadal, periya thirumadal and thiruneduNthAndakam. In his second work namely thirukuRuNthANdakam, thirumangai AzhvAr saw parama purushan SrIman nArAyaNan in his heart via his internal senses, as revealed by pAsurams like “en manaththu vandha vidhiyinaik kaNdukoNda thoNdanEn vidugilEnE (thirukuRuNthANdakam 1)”. In his third work namely “thiruvezhukURRirukkai”, he yearned for SrIman nArAyaNan and expressed his desire to enjoy HIM with his exterior senses as well. He performed SaraNAgathi at the lotus feet of the lord at thirukkudandhai. This could be seen in verses like “selvam malgu thenthirukkudandhai aNdhaNar mandhira mozhiyudan vaNanga, AdaravamaLiyil aRithuyilamarndha parama ninadiyiNaip paNivan”. Even after this SaraNAgathi, his desire was not fulfilled. thirumangai AzhvAr started to explore the reason for the futility of his SaraNAgathi. parama purushan SrIman nArAyaNan is not someone who does not know the situation in which thirumangai AzhvAr is confronted with. HE is not someone who does not have the power to reach the place where thirumangai AzhvAr is. HE is not someone who is not wanted by thirumangai AzhvAr and so all these aforementioned reasons could not be the reason. thirumangai AzhvAr had just then performed SaraNAgathi and so that would mean that there is nothing that thirumangai AzhvAr needs to do more. So, that is also not a reason for HIS “no-show” or “late show”. The reason for the delay on the part of SrIman nArAyaNan, is neither because of thirumangai AzhvAr’s efforts nor SrIman nArAyaNan’s lack of power and knowledge. The real reason is that SrIman nArAyaNan did not have in HIS heart, the desire to mingle with thirumangai AzhvAr at that point in time. Therefore, thirumangai AzhvAr decided that he is going to do whatever it takes even if it means to destroy his essential nature of “pAranthanthriyam”. (Simple definition of “pArathanthiryam: The quality by which an entity is what the master SrIman nArAyaNan wants it to be”. The entity (it can be a living or non-living) does not do anything on its own volition rather SrIman nArAyaNan chooses what it needs to be). thirumangai AzhvAr decided that he wanted to see his master SrIman nArAyaNan and for that he is going to go the distance, whatever that entails. 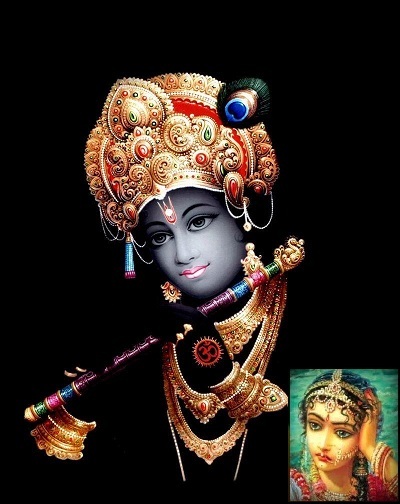 He thought of SrIman nArAyaNan’s incarnation as krishNa. Specifically, he was reminded of a gOpikA who was thinking incessantly about the glorious pot dance of krishNa yet could not get to be united with HIM at that time. She started to lament her pangs of separation thereupon. In a similar vein, thirumangai AzhvAr laments in this dhivya prabandham. We should understand what a “madal” is. Here is a brief background about it. There is a SrI rAmAyaNam SlOkam that goes “thulyaseela vayOvruththAm thulyAbhijanalakshaNam! rAghavOrhathi vaidhEhIm thamsEyam asithEkshaNA (suNdhara kANdam 16.5)”. The meaning of this SlOkam is that SrI rAma was the ideal match for sIthAp pirAtti in terms of everything including good character, age, discipline and beauty. sIthAp pirAtti who has black eyes, would find the ideal match in only SrI rAma who also has the exact same complexion as sIthAp pirAtti. This SlOkam explains the qualities of a nAyakan (male lover) and a nAyaki (female lover). A true nAyakan is one replete with masculine qualities of intelligence, wisdom, respect, inquisitiveness, eagerness to learn and determination. A true nAyaki is one that is full of feminine qualities of nANam (shyness), madam (being humble and disciplined), achcham (fear) and payirppu (quality where her skin becomes pale due to inability to bear the separation from her nAyakan). Let us say that there exists a couple in the world with all these qualities. The nAyaki goes to garden with her friends to pluck flowers. The nAyakan starts to go hunting and ends up in this same garden where the nAyaki is currently. This meeting / arrangement is pre-determined by fate. nAyaki’s best friend was also doing some other things when nAyakan and nAyaki met each other. Their eyes met first that ended up in unison. God thought “if I let them be like this forever, because of excessive joy, they may end up risking their lives ultimately, just like how crops get destroyed by the onslaught of excessive floods. I should make sure that they get separated at a timely fashion and then make them unite again until the final moment where ‘nothing could separate them’ moment arrives. This is the only way out for them to live and be in a relationship”. God decided to separate these lovers and did it. Relatives of the lovers did observe a marked difference in their bodies as seen in “punai izhaigaLaNivum Adaiyudayum pudhukkaNippum ninaiyum nIrmaiyadhanRu (thiruvAimozhi 9.8.5)”. They maintained a tight vigil on the lovers so that they can be safe. However, it back fired and in fact increased the lover’s pangs of separation 100,000 times more. At this juncture, a lover who is not able to be with his or her lover, does something valiant known as “performing a madal”. The valiant act is nothing but to destroy the lover’s characteristics like the basic innate qualities (svarUpam), beauty (rUpam), guNam (qualities) and wealth (vibhUthi). A lover draws a picture of his or her lover. He or she stares incessantly at the picture without eating ghee and drinking milk. He or she does not take bath either nor do they decorate themselves. There is a horse shaped toy called madal and the lover imagines himself or herself to travel the globe in that madal with shabby hair with shouts of “this person has estranged me. He or she does not have any soft corner towards me. He or she is a person who is so fast at the task in which he or she has a stake in it. If the task is accomplished, he or she forgets the other person and leaves just like that without having any feelings whatsoever towards the other lover. There is no bounds to the list of harm that this person can do”. The lover goes about all the streets trying to echo similar sentiments all the time. Any person who hears these lamentations would be greatly perturbed and would involve themselves in finding the person who had estranged his or her lover. This act is known as “performing a madal” that is literally nothing but negating all positive attributes of a lover that includes the likes of wealth, qualities, beauty and innate qualities. What is the use of this cruel act of performing a madal? The hope is that the friends and relatives of the lovers go in all directions in pursuit of the lover and try to unite them. It is also possible that the king in that area could help the lover in getting his or her separated soulmate. If the friends and family does not pay any heed in their cause, then the lovers could get united and be the source of sustenance. If nothing happens, then there is one final glory that awaits the lovers. The glory is nothing but the pride that the lover ended his or her life because he or she could not get their counterpart and so had to choose a tragic life eventually. In his thiruvAimozhi, specifically “vazhavEl uzhagil”, nammAzhvAr compared and contrasted his lowliness with SrIman nArAyaNan’s loftiness. He thought to himself, “if I go to such a great person, will I not be casting a low image on HIM? Yes. It definitely would and hence I should not go towards HIM. I should stay away from HIM”. This is the character of AzhvArs. Given this nature of AzhvArs, can they be involved in performing a madal? They are not the ones who are going to destroy the qualities of their lover who is none other than SrIman nArAyaNan. namAzhvAr in his thiruVaimozhi 5.3 (mAsaru sOdhi), mentions “ANaiyen thOzhi ulagu thOru alarthURRi, Am kONaigaL seydhu kudhiriyAi madalUrdhumE (thiruvAimozhi 5.3.9)”. He also says “yAm madalUrndhum yem AzhiyangaippirAnudan, thUmadal thaNNanthuzhAi malar koNdu sUduvOm (thiruvAimozhi 5.3.10)”. In these, he just threatens SrIman nArAyaNan that he would perform a madal. Likewise, thirumangai AzhvAr, tries to threaten SrIman nArAyaNan that can be seen in phrases like “UrAdhozhiyEn nAn vArAr pUm peNNai madal (siRiya thirumadal conclusory note)”. In SrI rAmAyaNam, SrI rAma said “chApamAnaya saumithrE! 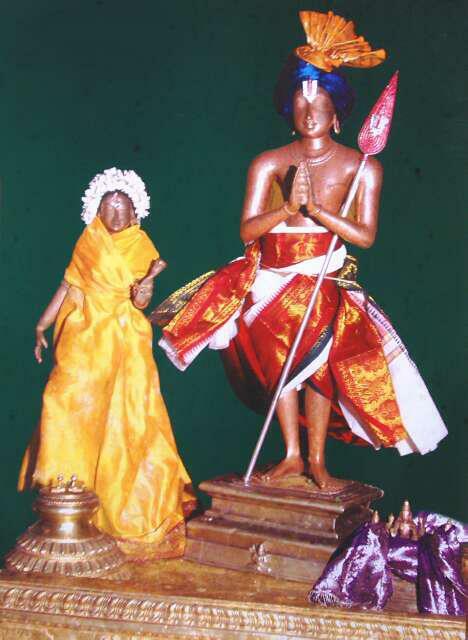 AshIvishOpamAn sAgaram SOshayishyAmi (SrI rAmAyaNam yudhdha kANdam 21-22). This translates into “hey lakshmaNa! Get me the bow and arrows that are powerful and venomous. I will empty this entire ocean”. SrI rAmA threaterned the ocean so that the latter comes running to help him. The act of performing madal is also something similar to it. AzhvArs opine that if they show their steadfastness, SrIman nArAyaNan will come running unto them. They are not the ones who will perform a madal and will ever complete it, let alone finish themselves at the end of it. The reason they tried to run away from SrIman nArAyaNan in the first place is when they saw their lowliness and the former’s glorious qualities. When in separation, these AzhvAr’s always thought about the greatness and significance of SrIman nArAyaNan’s qualities. This thought made them to be with HIM again by hook or crook. This is exactly why they tried to perform acts such as madal. Now there emerges another question. The reason for these AzhvArs to get estranged from SrIman nArAyaNan is the latter’s unparalleled greatness. Is this the only reason? If they thought so low about themselves, then what made them to want to be with SrIman nArAyaNan again? The answer is this. Initially, they got separated from SrIman nArAyaNan with the thought that “He is Supreme, great, omnipotent and the like”. While they were separated, the very same aforementioned qualities made them to forget their lowliness and urged them to unite with HIM. HE is known by the name of “ArAvamudhan” or the one who cannot be enjoyed fully to satiety. While enjoying such ArAvamudhan, one’s lowliness never steps in. There is another question that pops up. Why do AzhvArs not talk as themselves? Rather why do they sing in “nAyikA” bhAvam or imagine themselves to be the female lover for SrIman nArAyaNan and sing? There are some defining qualities of a jIvAthmA (soul) that are similar to the defining qualities of a female. Specifically, there are three that includes (a) ananyArhaSEshathvam (the quality of not being subservient to anyone else except SrIman nArAyaNan (b) ananyaSaraNathvam (the quality of recognizing SrIman nArAyaNan as the sole refuge and protector and (c) ananyabhOgyathvam (the quality of being an enjoyable object to SrIman nArAyaNan and no one else). These three qualities are common for a female who is subservient to her husband, as well as to a jIvAthmA (soul) who is sub-servient to its eternal master in SrIman nArAyaNan. When talking about a mortal husband and wife, the wife exhibits these three qualities towards her husband. While talking about the parama purushan SrIman nArAyaNan, a soul exhibits these three qualities. However, these three qualities are not expressed or revealed by all female towards their husbands nor by all souls towards SrIman nArAyaNan. It is only true that specially blessed souls like AzhvArs (mayaRvaRa madhinalam aruLappeRRavargal) exhibit these defining qualities of a soul in its true splendor. This manifests itself in them being able to sustain if they are with SrIman nArAyaNan and not able to live any longer should they be separated from HIM. At the time of liberation, these AzhvArs are akin to pirAttis. Furthermore, it is because these AzhvArs who were specially blessed by none other than SrIman nArAyaNan, they were able to have all the qualities of pirAtti, while they were in this earth itself. This is why they speak in the tone of a female, true to the defining spirit of a soul. Now that AzhvArs tried to perform madal, as a female has been established, there arises yet another question. According to thamizh scriptures, it is only appropriate that men can perform madal and not females. If that is so, what is the justification for AzvhvArs to perform madal with a feminine mood? There is a couple of lines in thirukkuraL that says “kadalanna kAmaththarAgilum mAdhar madalUrAr maRRaiyAr mEl” and “kadalanna kAmamuzhandhum madalErAp peNNir perunthakkanil (thirukkuraL 1137)”. The answer is below. If it is true that between male and female, only males have unabated love towards their female counterpart and that the female’s love towards her male lover is constrained and restricted, then the thamizh scripture’s thought that “only males can perform madal and not females” can be honoured. However, in reality it does not seem to be the case as we do see countless instances where the love towards their loves is unbounded and unconstrained for both genders and not just restricted to males. Therefore, AzhvArs adhere to the fact that “anyone who has uninhibited love towards their lover can perform madal”. This view is supported by the samskritham scriptures. Thirumangai AzvhAr performs madal as “parakAla nAyaki”. There is another question that pops in. All AzhvArs are blessed by SrIman nArAyaNan and so they should be full of wisdom. So they should not go behind “love” that is connoted with lust in this materialistic earth. Why are they running madly behind this love while it has condemned by all the intelligent people unanimously? This in fact is an easy question as the love that is being referenced in AzhvArs’ scriptures is not the earthly love and lust that is being prohibited by the intellectuals and wise. upanishadhs say “AthmA vA arE dhashtavya: SrOthravyO manthavyO nidhidhyAsithavya: (bruhudAraNya Upanishad 4-4-5)”. SrIman nArAyaNan who is the person who is to be listened to, who is to be thought of, is the one who is to be meditated upon and is verily the one who is to be seen with devout and pious heart. This pious love towards him is represented as love and not the earthly mundane love by any measure. The relatives of parakAla nAyaki (who is none other than thirumangai AzvhAr in nAyaki bhAvam) tell her “The act of performing madal does not suit your womanly character that is made of total dependence towards SrIman nArAyaNan. Nor does it complement or reward HIS masculine qualities”. parakAla nAyaki replies, “Well! I lost my heart in all those pranks and acts that HE does that would make one to lose their heart. I thought to myself. “ok. Let HIM come on HIS own accord. Let me not do anything on my own and cause blasphemy to HIS fame. However HE did not show up. I could not live anymore and so I decided that I would perform madal and make HIM come unto me and subsequently would sustain because of that”. The bold act of saying that “I would perform madal” in order to be united with HIM is called “trying to perform a madal”. There is a final question. parakAla nAyaki, instead of actually performing a madal, why should she express her boldness in performing a madal. Why does she procrastinate thereby? It is because (a) parakAla nAyaki has to first list out the reasons for her madal (b) make her relatives to be in accord with her efforts (c) to defame HIM and HIS glorious qualities, via the act of madal, not so suddenly and finally to allow some time for HIM to come. This entry was posted in iyaRpA, siRiya thirumadal on May 15, 2018 by santhanam rajagopalan. The thaniyan was composed by piLLai thirunaRaiyUr araiyar. The commentary to the thaniyan was written by piLLai lOkam jIyar. We will first see the preface to the thaniyan followed by the explanation of thaniyan itself. The preface to the thaniyan can be interpreted in two different methods. This would be when the first phrase is treated as “muLLi chezhu malarOr thArAn”. There are five things that are collectively known as “SabdhAdhi vishayangaL”. They are Sabdha, sparSa, rUpa, rasa and gandham. Sabdham is sound; sparSa is touch; rUpa is form, rasa is taste and finally gandham is smell. These five are primarily responsible for controlling one’s heart. piLLAi thirunaRaiyUr araiyar celebrates thirumangai AzhvAr who gave us this work called “siriya thirumadal”. 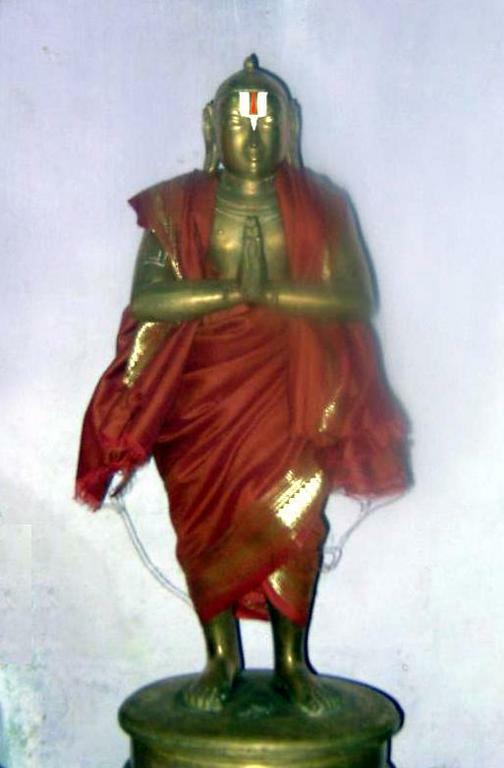 With the help of “siriya thirumadal”, piLLAi thirunarayiUr araiyar says that devotees who are at the service of the lotus feet of thirumangai azhvAr, are able to control the unwanted desires that emanate because of “SabdhAdhi vishayangaL” and consequentially they are able to focus their mind and heart towards SrIman nArAyaNan. In this method of interpretation, the purport is that the scripture called “siRiya thirumadal” acts as thing of sustenance for devotees who would otherwise finish themselves due to pain of separation from SrIman nArAyaNan. This would be when the first phrase is treated as “muLLi chezhu malarO thArAn”. There are devotees of thirumangai AzhvAr who cannot live by separating themselves from their beloved AzhvAr. thirumangai AzhvAr gave this work called “siRiya thirumadal” so that these devotees are able to sustain themselves and not indulge in materialistic pleasures that are controlled by “SabdhAdhi vishayangaL”. thirumangai AzvhAr used to wear a garland that was made of “muLLi” flowers. However, he did not give his devotees “muLLi” garland. Rather he gave them something that is even more spectacular that is nothing else than the garland of verses called “siRiya thirumadal”. thiruvALan – He has enormous wealth called “service to SrIman nArAyaNan”. kArkkaliyai – the black and evil effects of kali. madal thandhAn – He gave us the dhivya prabandham called “siRiya thirumadal”. muLai madhiyam koLLikku – from the wrath of a beautiful fire known as “moon”. 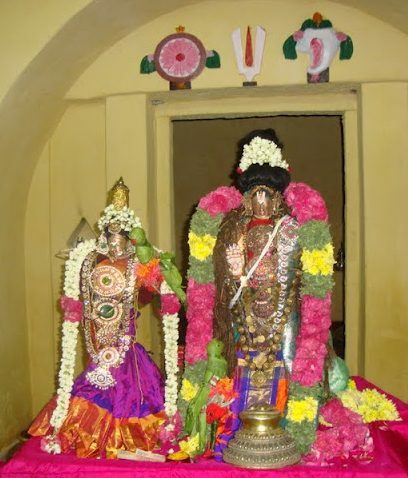 muLLich chezhu malarO(r) thArAn – thirumangai AzhvAr, the king of “thirumangai” , is one who is seen adorned with unparalleled muLLi flowers that seems to be have been born exclusively for him. Just like how nammAzhvAr is celebrated as “vaguLaththArAnai” (thiruviruththam thaniyan), thirumangai AzhvAr is referred to as “Or thArAn”. The reason for the word “unparalleled” is used as an adjective for the “muLLi” flowers is because these flowers are compared and contrasted against the thiruththuzhAy (thuLasi) flowers that adorn SrIman nArAyaNan. thiruththuzhAy flowers are adorned by SrIman nArAyaNan, who, now has separated from thirumangai AzhvAr. However, the muLLi flowers does not get separated from thirumangai AzhvAr. In this aspect, these muLLi flowers are unparalleled. Even the greatest thiruththuzhAy does not stand a match in this regard. The above description fits in line with the method 1 of preface to thaniyan. Now, we will explore the meanings of the second method to preface to thaniyan in which the phrase is “muLLi chezumalarO thArAn”. The difference is that there is no “Or” that meant unparalleled earlier. If we were to interpret this method, then the explanation is as follows. We are devotees of thirumangai AzhvAr. He did not give us the great muLLi flowers that he wears. What did he give instead? Since thirumangai AzhvAr considers himself to be a servant of us (because we are SrIvaishNavas), he gave us an even more spectacular gift – the garland of his verses that is known as “siRiya thirumadal”. “muLaimadhiyam en koLLikkenuLLam kodhiyAmE” – Why does thirumangai AzhvAr had to bless us with his madal? The answer to this is in the next line “muLaimadhiyam en koLLikkenuLLam kodhiyAmE”. The moon that just started to glow will appear to scorch those people who are in love but are separated. So the moon that is usually connoted with coolness now is referred to as an object that scorches that is similar to “koLLik kattai” (wood lit with fire). thirumangai AzhvAr himself had used the phrase “pOndha veN thiNgaL kadhir suda meliyum (periya thirumozhi 2.7.3). In this phrase he says that the moon is similar to sun that in the sense that it scorches him throughout the night when he is separated from SrIman nArAyaNan. There is one more reference to this in the phrase “chandhras chaNda kArayathE” that means that the moon is similar to sun when it comes to scorch those separated worldly lovers. SrIrAmApirAn Himself said “yAni sma ramaNIyAni thapA saha bhAvanthi mE! dhAnyEvAramaNIpAni jAyanthE mE dhayA vinA!!!”. This means that when HE is with HIS consort sIthA pirAtti, everything that was around at that time was beautiful. Those same things , when she is not with HIM, look anything but beautiful. There are two possible split ups here. First is “muLai madhiyam koLLi” and the second one is “muLai madhi am koLLi”. The first split “muLai madhiyam koLLi” would mean “koLLi that is like a moon that just dawned” as revealed by “muLai madhiyamAgiRa koLLi”. The second split “muLai madhi am koLLi”, however, could be broken down further in to “muLai madhiyamAgira am koLLi”. The word “am” means beautiful and so it means the “beautiful koLLI that is similar to the just dawned moon”. “madhiyam” is moon. There are five things that usually torment lovers who are separated. Those five include moon, jasmine flowers, poetry in kurunji rAgam, wind that blows towards north and finally a bed that is made of flowers. Jasmine flowers and poetry in kurunji rAgam is taken from nammAzhvAr’s thiruvAimozhi, “malligai kamazh thendRal IrumAlO, vaN kuRunji isai thavazhumAlO” (thiruvAimozhi 9.9.1). The other three namely north blowing wind, moon and bed of flowers are taken from the same work but from a different pAsuram that has “vAdai thaN vAdai vevvAdai AlO, mEvu thaN madhiyam vem madhiyamAlO, men malarppaLLi vempaLLyAlO” (thiruvAimozhi 9.9.4). Earlier, we saw that there are collectively five things that are known as “SabdhAdhi vishayangaL” that torture one’s heart. Similarly there is this another set of five that torment people who are separated from their beloved. The phrase “muLai madhiyam koLLi ennuLLam kodhiyAme” is key to the two methods that were discussed in the preface to thaniyan. The above phrase is to be joined correctly as below to get the meanings that was explained earlier. Here is the summary of that. The phrase “muLai madhiyam koLLi ennuLLam kodhiyAme” should be joined with “muLLich chezhu malarO(r) thArAn and so should be read as “muLai madhiyam koLLikku en uLLam kodhiyAmE muLLich chezhu malarO thArAn”. This would mean, thirumangai AzhvAr gave “siRiya thirumadal” to us who are separated from SrIman nArAyaNan and are consequentially tormented and tortured by “SabdhAdhi vishayangaL”. The phrase “muLai madhiyam koLLi ennuLLam kodhiyAme” should be joined with “thandhAn madal” and so should be read as “muLAi madhiyam koLLikku ennuLLam kodhiyAmE thandhAn madal”. thirumangai AzhvAr gave “siRiya thirumadal” to us who are thirumangai AzhvAr’s devotees. He did not give the muLLi flowers that he decorated himself with. Instead he gave the garland of verses known as “siRiya thirumadal” with which we can continue to exist. vaLLal thiruvALan – This refers to a person who is magnanimous. The author of the thaniyan namely piLLai thirunaRaiyUr araiyar says that thirumangai AzhvAr gave madal that made him peacefully exist without having to suffer the tortures of SabdhAdhi vishayangaL. Why is he a magnanimous person in this regard? This is because thirumangai AzhvAr helped piLLai thirunaRaiyUr araiyar to continue to live when the latter could have easily been done because of his separation from SrIman nArAyaNan. SrIman nArAyaNan did not help him survive. But it was only thirumangai AzhvAr that enabled him to live by giving him the great work called “siRiya thirumadal”. vaLLal thiruvALan – The name “thiruvALan” refers to one who has the most significant wealth called as “service to SrIman nArAyaNan”. The adjective “vaLLal” here is used because no matter how much wealthy a person is, it shines only if he gives. thirumangai AzhvAr is one such person who has abundance of this wealth. sIrkkaliyan – It refers to thirumangai AzhvAr who is also known as “kaliyan”, who has a lot of auspicious qualities starting from the likes of compassion etc. kArkkaliyai vetti – How did thirumangai AzhvAr give the garland of verses called “siRiya thirumadal”. If we need to pluck flowers, we may need to remove the thorns in the plant before getting the flowers. Was there any thorn that thirumangai AzhvAr got rid of before giving us the “siRiya thirumadal”? The thorn that is being metaphorized here is nothing but the black kali rather the evil influences of it. kali is a yugam that is characterized by ignorance. thirumangai AzhvAr is also known as kalikanRi for he removed the effects of kali through his works. maruvALan thandhAn madal – In order to remove the thorn in plant, there needs to be a sword. Did thirumangai AzhvAr have one? Yes. He did have a sword that fitted him perfectly. The word “vAL” (sword) metaphorically refers to knowledge and so it means that thirumangai AzhvAr cut asunder the ignorance (agyAnam) called thorn, using the true knowledge about SrIman nArAyaNan. The word “maru” refers to fragrance. So “maruvALan” means that thirumangai AzhvAr is a person who can be smelled using the pleasant fragrant smell of “bhagavadh anubhavam”. This fact is stated in the phrase “ivaL andhaNthuzhAy kamazhdhal” (thiruvAimozhi 8.9.10) as well. There is yet another meaning for “maruvALan”. The verb “maruvudhal” can mean “to attain”. thirumangai AzhvAr was a person who yearned to be with parama purushan “SrIman nArAyaNan”. There is one more explanation to “maruvALan”. “maruvi” could also mean “to transform or to change”. thirumangai AzhvAr changed the people with conscience (chEthanar), he went towards them out of his own volition and ruled them by correcting them. So it means that in order to correct the ignorant chEthanars and subsequently make them similar to him, who is with the muLLi garland, he gave the madal. In the second method discussed above, it means “muLLich chezhu malaraith thArAmal madalai thandhu vittAr”. The devotees of thirumangai AzhvAr are yearning for the muLLi flowers that he adorns. But thirumangai AzhvAr, as he himself says “annaiyum aththanum enRu adiyOmukku irangiRRilan” (periya thirumozhi 3.7.7), he regard him as the devotees of those devotees who were yearning for his muLLI garland. Hence, he gave a more special gift in the form of “siRiya thirumadal”. This entry was posted in iyaRpA, siRiya thirumadal on April 2, 2018 by santhanam rajagopalan. thirumangai AzhwAr has composed a beautiful prabandham named siRiya thirumadal. 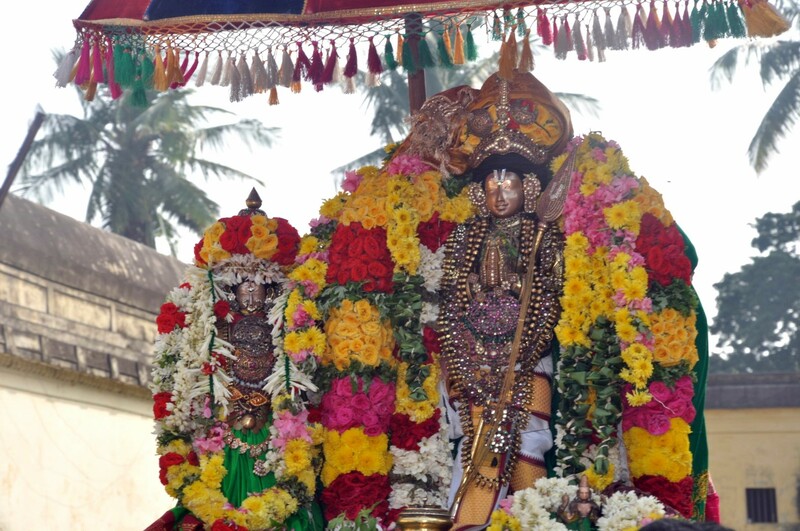 In this prabandham, he is feeling the separation from emperumAn and due to the great sorrow in separation, he assumes a feminine mood (as parakAla nAyaki) and performs madal [madal is an activity where the man/woman would hurl accusations on his/her beloved in the hopes to convince the other person for marriage]. This entry was posted in iyaRpA, siRiya thirumadal on March 30, 2018 by Sarathy Thothathri.